Pretty pictures of polish and nail art! Mani swap with Nails by Belle! Hi everyone! I done a mani swap with one of my readers (and one of my fav. nail blogs) Nails by Belle! 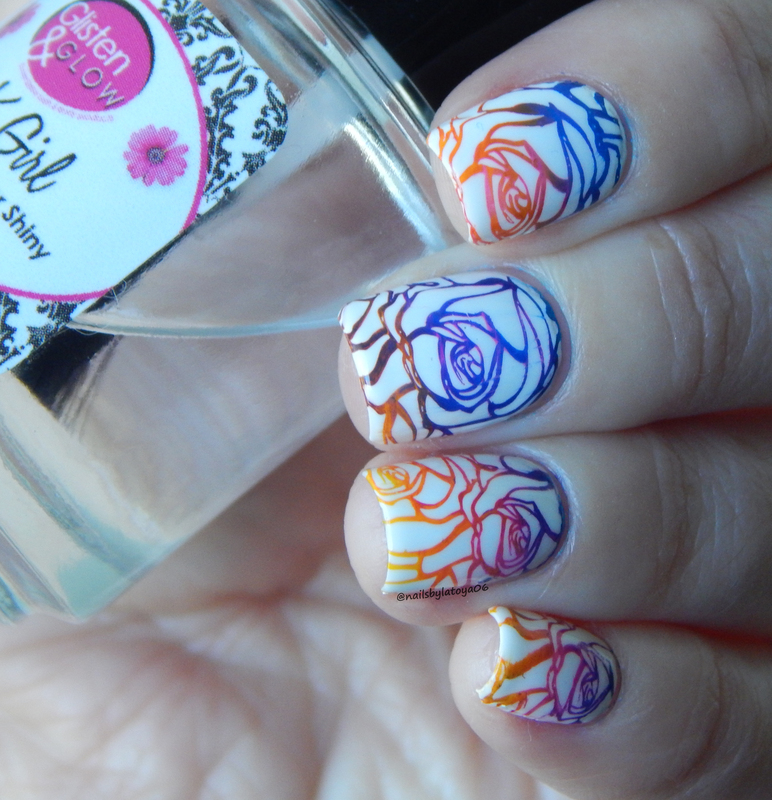 She had a gorgeous rainbow floral pattern she did and decided to do my best to recreate it! I used Bundle Monster BM-XL218 stamping plate and three of Bundle Monster’s opaque stamping polishes for a rainbow gradient effect. I had so much fun doing this!!! If you want to see how her look turned out, check out her blog post here. Thank you for doing a maniswap with me!!! 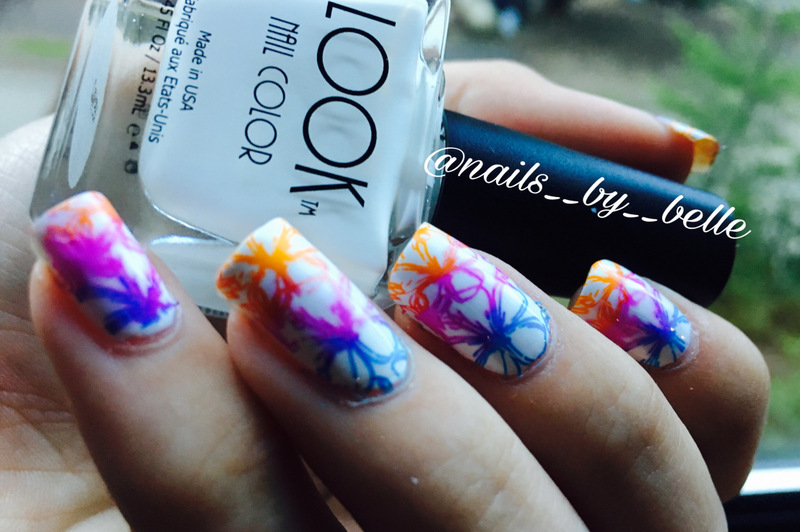 This entry was posted in Beauty, Nail Art and tagged beauty, makeup, Manicure, Nail art, nailart. Bookmark the permalink. 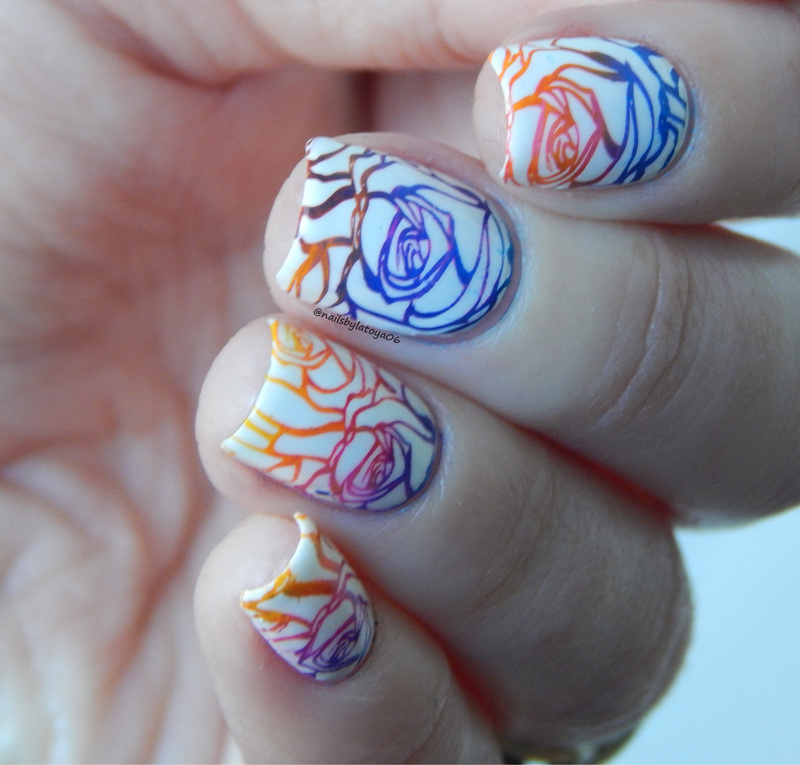 ← Fancy Rose and Gold stamping featuring Winstonia W402 stamping plate!